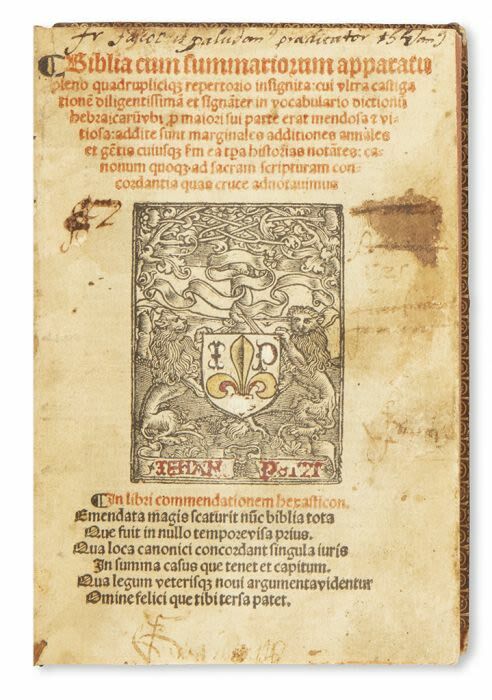 Double column, title in red and black and with large woodcut printer's device, full woodcut plate depicting the Creation and decorative initials. Collates as per D&M, lacks final leaf, previousowner’s marks, browned, title stained. Later mottled calf, spine gilt, rubbed. 8vo. cf. Darlow & Moule 6103.